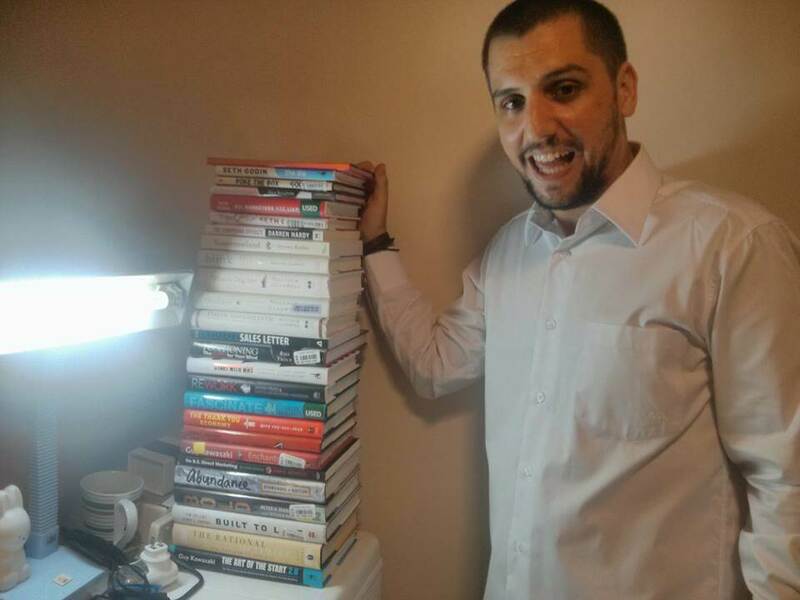 In this blog post you are going to find my personal collection of 12+1 best motivational books you can read during 2015. That’s the exact same books that I’m reading throughout this year which have improved my mindset and will power dramatically. The date that I begun compiling this collection was in the beginning of February, so this is going to be an ongoing frequently updated collection. Feel free to bookmark this page and return the next month to find out the new book or if you are reading this while the list is complete, give it a share for others to check the 12+1 best motivational books one can read for 2015. Based on extensive research and one-on-one interviews with more than 50 of the most legendary financial experts in the world—from Carl Icahn and Warren Buffett, to Ray Dalio and Steve Forbes—Tony Robbins has created a simple 7-step blueprint that anyone can use for financial freedom. Here is a review of Money: Master The Game by Cullen Roche. Everything we want in life comes as a direct result of persuasion. Regardless of our job titles, careers, dreams, or goals, our ability to influence others is the key to success. Whether we’re selling a product, presenting an idea, asking for a raise, or influencing someone to be a better person, persuasion is the magic ingredient. Yet despite the fact that much has changed in recent years regarding how people are persuaded – having become more discerning due to an onslaught of countless persuasive messages through e-mail, TV, and other media every day – many of us continue to use outdated techniques for convincing others…or worse yet, have no technique at all. One of the most inspiring, impactful and best motivational books ever written, The 7 Habits of Highly Effective People has captivated readers for 25 years. It has transformed the lives of Presidents and CEOs, educators and parents— in short, millions of people of all ages and occupations. Here is a review of this book by Maria Lourdes. In this compelling book, Professor Maslow uses studies of psychologically healthy people and of the healthiest experiences and moments in the lives of average people to demonstrate that human beings can be loving, noble and creative, that they are capable of pursuing the highest values and aspirations. A classic text in the field of humanistic psychology. How does city life change the way we act? What accounts for the increasing prevalence of violence and anxiety in our world? In this new edition of his controversial 1969 bestseller, The Human Zoo, renowned zoologist Desmond Morris argues that many of the social instabilities we face are largely a product of the artificial, impersonal confines of our urban surroundings. A tell is an action that tells you what someone is thinking, even if that person doesn’t know it themselves. And tells are highly informative…The way you stand when you’re talking to others, how you move your feet, your hands, your eyes – even your eyebrows — says a lot about your commitment to a conversation and your underlying attitude. Your actions and stance can also affect how long you get to talk and how often you get interrupted. Completely updated for today’s busier-than-ever consultants, this classic guide covers the ins and outs for competing and winning in this ultracompetitive field. You’ll find step-by-step advice on how to raise capital, attract clients, create a marketing plan, and grow your business into a $1 million-per-year firm, plus brand-new material. What do we dream of doing in our lives, and how to we accomplish those dreams? The Millionaire Course gives us the tools we need. The book is an entire course, an in-depth guide consisting of 12 major steps or lessons of the Course with 160 keys to success woven throughout, which are numbered and set in bold type. It is not necessary to master all these keys; all you need to do is find the ones that work for you. Losing My Virginity is the unusual, frequently outrageous autobiography of one of the great business geniuses of our time. When Richard Branson started his first business, he and his friends decided that “since we’re complete virgins at business, let’s call it just that: Virgin.” Since then, Branson has written his own “rules” for success, creating a group of companies with a global presence, but no central headquarters, no management hierarchy, and minimal bureaucracy. One of the best motivational books for wannabe successful entrepreneurs. If you are currently struggling with getting traffic to your website, or converting that traffic when it shows up, you may think you’ve got a traffic or conversion problem. In Russell Brunson’s experience, after working with thousands of businesses, he has found that’s rarely the case. Low traffic and weak conversion numbers are just symptoms of a much greater problem, a problem that’s a little harder to see (that’s the bad news), but a lot easier to fix (that’s the good news). The success of Starbucks Coffee Company is one of the most amazing business stories in decades. What started as a single store on Seattle’s waterfront has grown into a company with over sixteen hundred stores worldwide and a new one opening every single business day. Just as remarkable as this incredible growth is the fact that Starbucks has managed to maintain its renowned commitment to product excellence and employee satisfaction. TED–which stands for technology, entertainment, and design–brings together the world’s leading thinkers. These are the presentations that set the world on fire, and the techniques that top TED speakers use will make any presentation more dynamic, fire up any team, and give anyone the confidence to overcome their fear of public speaking. Poke the Box is a MUST-READ book for future entrepreneurs. I would say it is one of the best motivational books ever written about starting-up something! But it can be also provocative, almost threatening towards the reader. …I’m sure you are going to find pretty good books there also. Seth Godin is a great author. A lot of people do not “get” his style though. Of course I couldn’t agree more with you Darren. Thanks very much for the source! Appreciate your comment here. Great selection of books, Vasilis, some of which I have, others new. I heard a review of the Seth Godin book, which sounded very interesting, and is on my list. The only one I have ever had a problem reading was the Maxwell Maltz, Psychocybernetics, which I found really wordy un unreadable, despite really trying hard. It is not often I give up on a book! But so many here I would agree as must reads: Tony Robbins especially and Stephen Covey, and the Talk like Ted I loved! I always like to read what other people have thought of the books I have read. Thanks. Psycho-Cybernetics is a very deep book and sometimes written with psychology terms that make it difficult to understand as you say.